April 15th 2016 was the 69th anniversary of Jackie Robinson’s first game in the Major Leagues with the Brooklyn Dodgers. 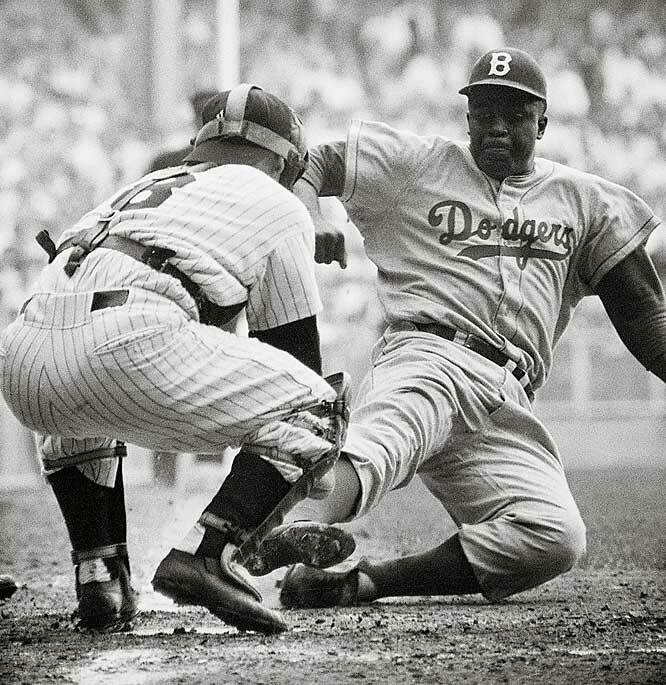 When he stepped onto the field, Jim Crow was very alive and well when Jackie stepped onto the field that day and no matter how much we want to distance ourselves from those days there are still some in this country who want to go back to that kind of society. Jackie had experienced the full force of Jim Crow while serving as an Army Officer in the Second World War. While at Fort Hood Texas serving with the 761st Armored Battalion Robinson boarded an army bus and was ordered to the back of the bus by the driver. Robinson refused to comply as the army busses were not segregated, but the drive reported him to the Military Police. He was arrested and charged with a number of crimes and was tried by a Court Martial which acquitted him, however, it did prevent him from going to war with the 761st, which was the first African-American ground-combat unit to see action, and played a part in his determination to succeed. Robinson’s first game with the Dodgers came a full year before President Truman integrated the military, a move which infuriated many in the South. Likewise it occurred a full seven years before the Supreme Court ruled school segregation unconstitutional in the Brown vs Board of Education decision. It came a full 17 years before Congress passed the Voters Rights Act in 1964. Today Jackie Robinson’s life, and his feat of breaking the color barrier in baseball is history, but it should not be forgotten. He was a pioneer who made it possible for others to move forward. He would be followed by players like Roy Campinella, Satchel Paige, Don Larson, Larry Dobie and Willie Mays. His breakthrough had an effect not just on baseball but on society. 30 years later the Class of 1978, the first class to be desegregated from start to finish graduated from Edison held a reunion. Our class always had a special feel about it. Looking back we too were pioneers, like Jackie Robinson we were far ahead of our time. When I look at my friends on Facebook from Edison I see the same faces that I played ball, rode the bus and went to class with. Things have changed. Even 30 years ago none of us imagined an African American President, we believed in each other and we saw potential, but I don’t think that anyone believed that we would see this in our day. I think that Jackie Robinson prepared the way for other pioneers of Civil Rights including Dr. Martin Luther King. Today, some 69 years later Jackie Robinson looms large in American History; not only in baseball, but for the impact of his life and actions on America. May we not forget and always forge ahead in the constant struggle for civil rights and equality, even as many in our nation sink back into the old ways of apathy, and the toleration of injustice and inequity, even seeking to reverse the hard gotten gains that we all have been blessed to see. So here’s to you Jackie Robinson, thank you and all the other pioneers who have and who continue to fight for the rights of all people. By the way I am big Giants fan. Saw Haliki’s no-hitter against the Mets when I was a teenager. Dodgers are evil. Thanks for the comment.